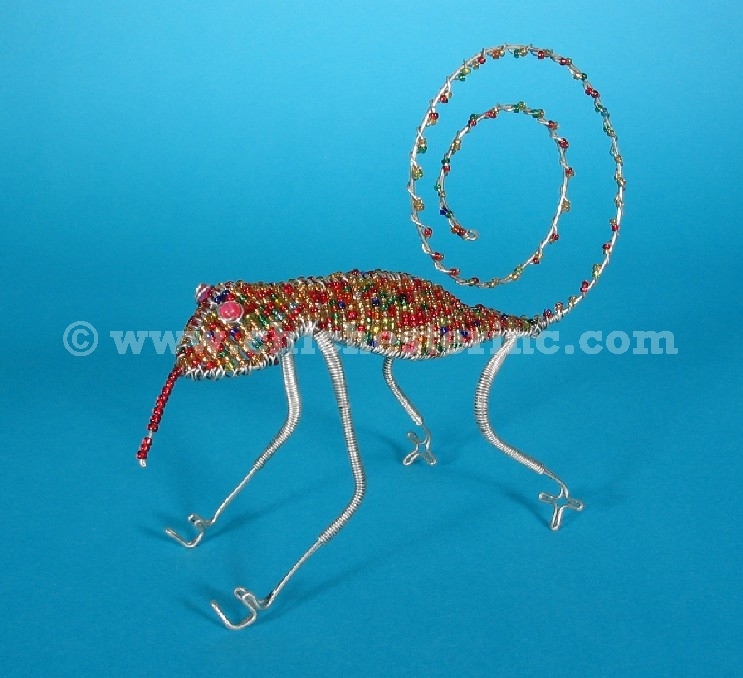 The wire wrap animals are hand made in the townships of South Africa. 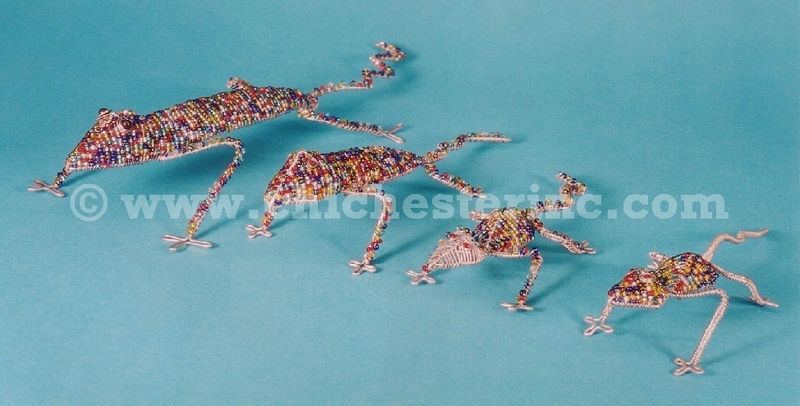 We only have small quantities at this time--and each piece is individually photographed and coded. 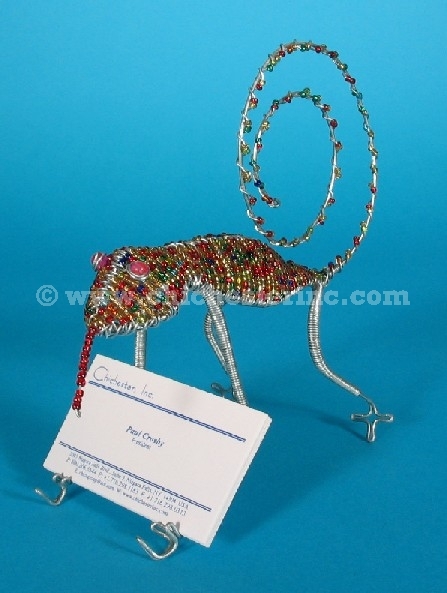 Size: 8.5" long and 6 3/4" high with a curly tail that holds business cards. 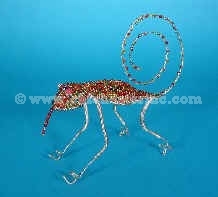 This is a great present for a lawyer or stock broker.